It was my turn again to be at Ateljeekatu today. This was the slowest day that I have been there. We had only 4 customers come in. That just meant I had lots of time to do everything I had planed for today. 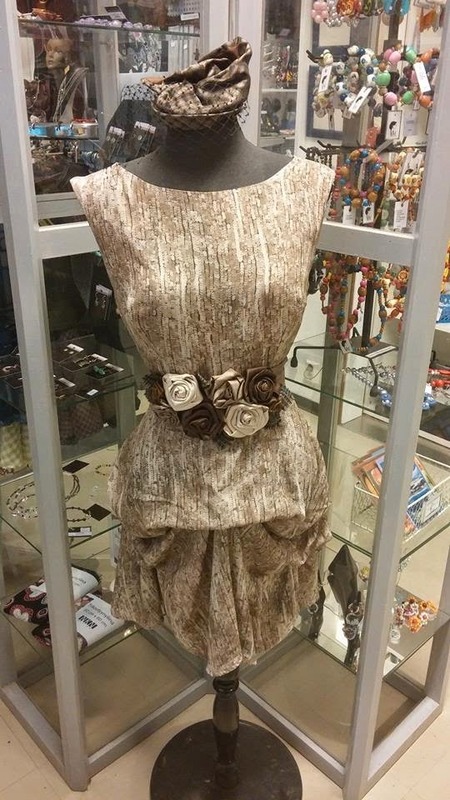 Somebody had combined a dress that I had made with Shadows by Tiina Rikala products and I think they go really well together. Don't you think so? The dress looks very different from what I would usually make but I really liked the fabric. It has a print that looks like sequins. You can make the lower part look more puffy by wearing a petticoat underneath. 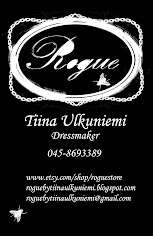 There is also a bodycon version for sale at Ateljeekatu made from this same fabric. 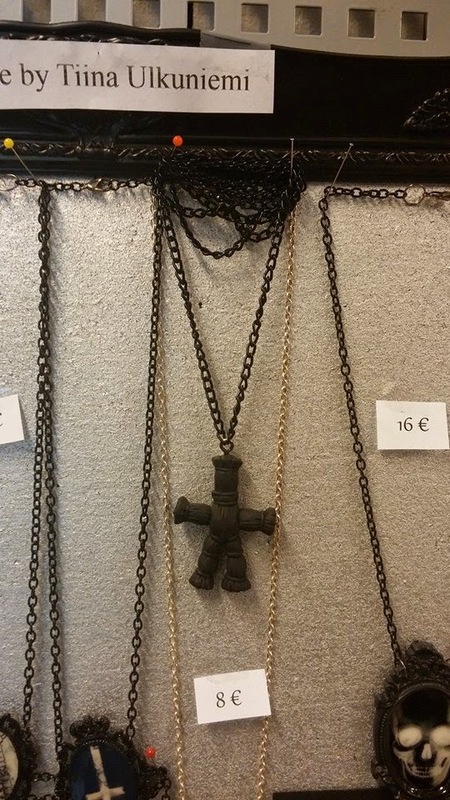 I had time so make something new for sale so I ended up making this voodoo doll necklace out of recycled materials. There is only 1 available and it is at Ateljeekatu for sale. 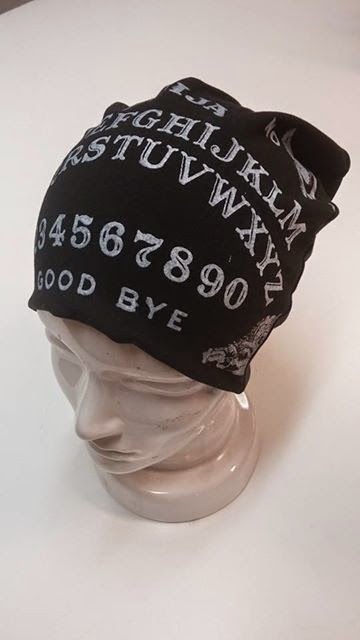 I have wanted to make Ouija beanie for a while now I finally I was able to find time and left over black cotton jersey to make it. I think it looks really nice. I better make one for me to wear. These are 15 € + shipping a piece.